With songs, vigorous leaps, claps, shouts and clashing of sticks or swords, join music educator and morris dancer Paul Kerlee as he chases away the shadows of winter and heralds the seasons in Welcome In The Spring. This is an exhilarating introduction to seasonal ritual dances that long ago grew up in the English countryside and were joyfully carried to America at the turn of the century. For over twenty years, Paul Kerlee has been an acknowledged pioneer and primary force for bringing English morris and sword dances to children. 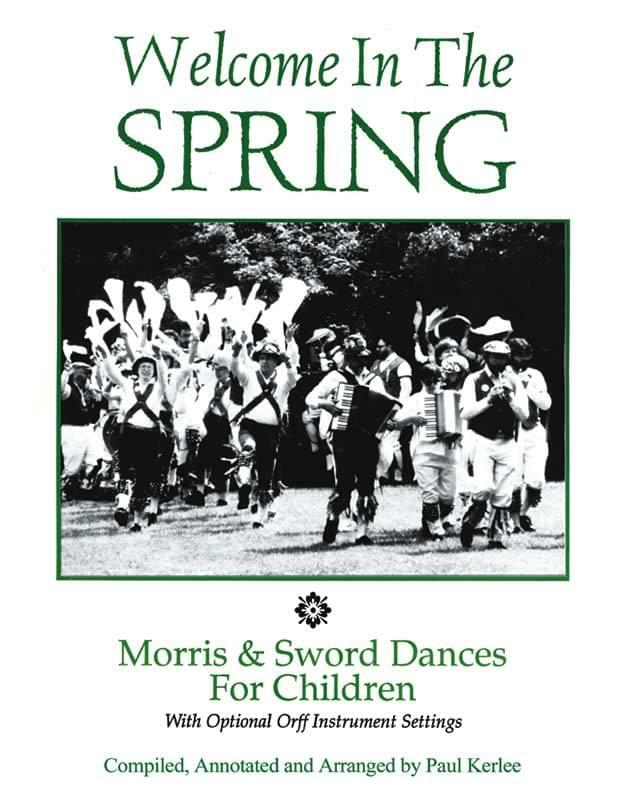 This collection may be used with children in upper elementary school and higher, or by adults seeking a satisfying entry into the world of morris dance. Sing in the seasons, or accompany your May Day celebrations with truly authentic dances. CD #1 - Lively, full-length performances of all dances by well-known morris musicians (including Leah Barkan, Jody Kruskal, Betsy Blachly and Marnen Laibow-Koser) playing accordion, concertina, pipe and tabor, and fiddle. Suitable for listening appreciation, practice or performance. CD #2 - Full-length Orff instrument demos of all dances, suitable for practice or performance. Downloadable component has two files - 83.1MB and 57.2MB. Includes all tracks from both CDs and 64-page PDF.